Wed., Jan. 31, 2018, 7:21 p.m. The Washington state Department of Health says there is a possible risk to the public if demolition of the Hanford Plutonium Finishing Plant resumes without better controls to prevent the spread of radioactive contamination. Over the past year the Department of Health has requested information and made recommendations. This week Clark Halvorson, the agency’s assistant secretary, escalated the department’s actions, sending a letter to the Department of Energy formally listing the concerns and asking for more information. The Department of Health does not directly regulate the Hanford nuclear reservation, but is responsible for protection of public health, including people who are near the site or visiting the site. It also provides information to a Hanford regulator, the Washington State Department of Ecology. There have been no levels of radioactive contamination detected off Hanford that indicate a risk to public health, so far, Halvorson said. But the spread of particles contaminated with plutonium or americium has gone beyond the 200 West Area, the central Hanford area where the Plutonium Finishing Plant is located. He pointed out that worker cars with specks of radioactive contamination were driven into town. A rental car driven by one Hanford worker is being brought back to Hanford from Spokane this week for a recheck as a precaution. “Allowing alpha contamination off site is a serious and uncommon issue that we believe should be preventable through best management practices,” Halvorson said. 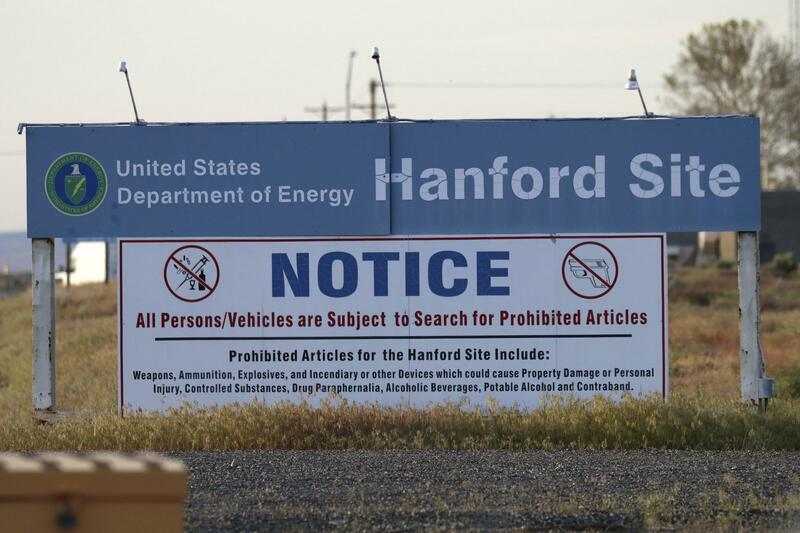 In addition, contamination was found on vegetation at the U.S. Ecology commercial low-level radioactive waste disposal site on leased land at Hanford. A bulk air sample collected at the Rattlesnake Barricade secure entrance to Hanford off Highway 240 on the same day of a major contamination spread at the Plutonium Finishing Plant contained a small amount of radioactive contamination. Radioactive contamination also was found close to the K East and West reactors near the Columbia River, which appears to be associated with demolition of the central Hanford plant. The Department of Health is asking DOE if any members of the public may have been on the Hanford nuclear reservation when contamination spread in December. Although the site is closed to the public, some nonworkers are occasionally on site, including delivery people, news media and prospective bidders on Hanford contracts. Health officials also are concerned about nonradiation workers at Hanford and outside contractors. On June 8, workers at the Plutonium Finishing Plant were ordered to take cover indoors because of a spread of airborne radioactive contamination. Checks of workers found that 31 had inhaled or ingested particles of radioactive contamination giving off very low levels of radiation withing their bodies. In mid-December another major spread of contamination was discovered after most of the demolition of the plant’s Plutonium Reclamation Facility was completed, with initial testing showing two workers inhaled or ingested contamination. Further analysis of air samples showed that radioactive contamination has spread through the air, starting before the December incident from late October through at least December. The frequency of air samples found to be contaminated has increased, Halvorson said. “Once the contamination is allowed into the environment, it will migrate via air pathways, water and through other biological vectors,” he said. The Department of Health has questions about whether controls to prevent the spread of contamination were not used to the extent called for in plans for demolition and cleanup of demolition rubble or whether controls were used fully and were not effective. DOE had a deadline to have the Plutonium Finishing Plant torn down to its foundation by September 2017, but notified regulators that deadline could not be met. Since mid December all demolition work has been halted until DOE and the state Department of Ecology are confident it can be done safely. “If work speed is increased with the intent of meeting a milestone, and doing so risks spreading contamination, we feel this should be discussed with lead agencies,” Halvorson said. Any delays reportedly were for a matter of days. The Department of Health is concerned that other high risk projects at Hanford have a “very slim” margin of error, Halvorson said. He cited the upcoming demolition of the 324 Building, which sits over a highly radioactive spill just north of Richland. It is near both homes and agricultural land across the nearby Columbia River. Published: Jan. 31, 2018, 7:21 p.m.